To understand why and how Harrison “Jack” Schmitt became the main advocate for a fantastical idea to mine the moon for a substance that he believes could solve the world’s energy problems, you first need to know a little about his incredible life and his frustrations with the death of the Apollo program. 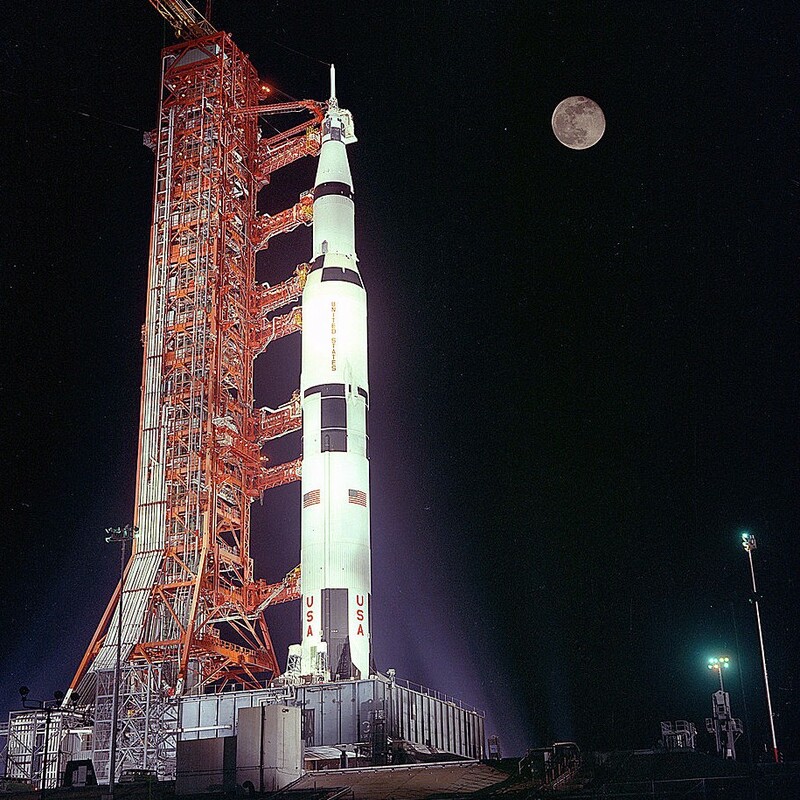 On December 6, 1972, in the first nighttime launch in NASA history, Schmitt, together with Eugene Cernan and Ronald Evans, buckled up into a Saturn V rocket at the Kennedy Space Center in Florida. The 36-story vessel stood taller than the Statue of Liberty, glowing for miles in the night sky. Schmitt, the lunar module pilot, almost didn’t get this coveted seat on the last trip humans ever made to the moon. He had joined NASA almost a decade earlier, fresh from completing his Ph.D. in geology at Harvard, one of more than a thousand applicants to the agency’s first “scientist-astronaut” program, in 1964. After becoming one of the six finalists, he spent most of his 30s training to fly aircraft and earning his stripes in the agency. The entire time he had his eyes set on becoming a moonwalker. But being a geologist also made Schmitt a black sheep among the Apollo astronauts, a scientist in a flock of military test pilots who were long deemed the only candidates worthy of space travel. He hoped to get a spot on a later mission, but his place in NASA’s pecking order almost derailed his ambitions. This was because, only months after Neil Armstrong’s historic walk on the moon in 1969, public support for space exploration was already disappearing. The Apollo program, after all, was expensive — approaching 1percent of GDP at its peak funding years in the 1960s. The Vietnam War, an approaching energy crisis, and a long list of economic concerns at home limited the public’s appetite for lofty goals done for science’s sake, even if it did prove we were better than the Russians. To the politicians who began hacking the Apollo program to death, space had no intrinsic value, certainly not in the short term. It didn’t help that their constituents got bored watching historic firsts, like during Apollo 14, when man first played golf on the moon. In 1970, after the Apollo 13 debacle that almost killed its crew, a moon-weary Congress voted to cut funding and the White House began scaling back its ambitions. NASA was forced to cancel what would have been Apollos 18, 19, and 20, and Schmitt’s soaring dream of walking on the moon came plummeting back to earth. With the writing on the wall regarding the end of the Apollo program, however, the scientific community intensified its lobbying of NASA for a scientist to finally make the journey. Schmitt, a geologist who had put together the lunar science training program, was the natural candidate. In 1971, to the excitement of scientists and chagrin of some astronauts, NASA announced that Joe Engle was getting bumped from Apollo 17 — and the new lunar module pilot was going to be Schmitt. At 12:33 am ET, December 7, 1972, Apollo 17’s three-stage rocket system kicked off with an inferno that lit up the Florida night. Within 10 minutes they had burned through the first two stages and reached escape velocity, darting at a speed of 25,000 miles per hour toward their lunar destination. On December 11, Schmitt and Cernan climbed into the lunar module Challenger, leaving Evans behind to orbit in the command module above. In a little over two hours, they touched down in the Taurus-Littrow valley of the moon, which is deeper than the Grand Canyon. 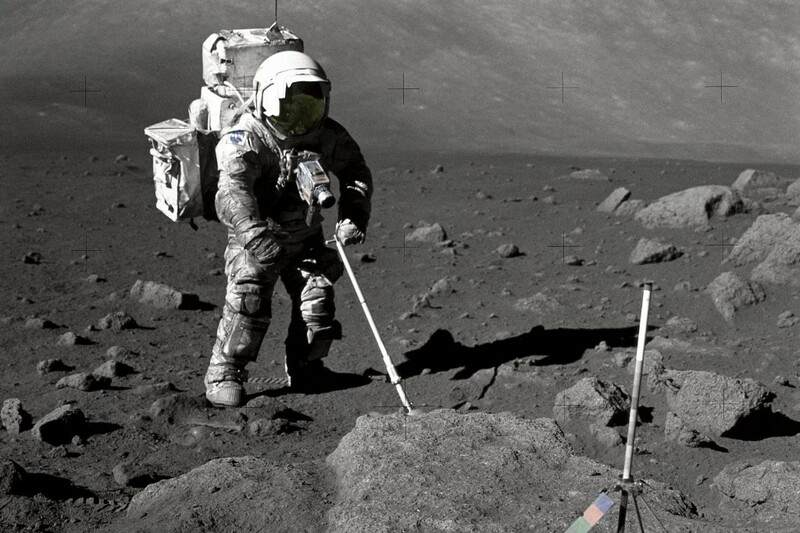 Schmitt’s primary mission was to collect a bunch of regolith — basically moon dirt and rocks. To accomplish this goal, he and his lunar roommate traversed the barren gray moonscape on a rover. They ended up collecting more than 243 pounds of samples — samples he could have no idea were brimming with an obscure isotope of helium that would one day inspire him to lead a crusade to go back. On December 14, after camping on the moon for a record-breaking three days, Schmitt and Cernan climbed back in the lunar module for the last time. 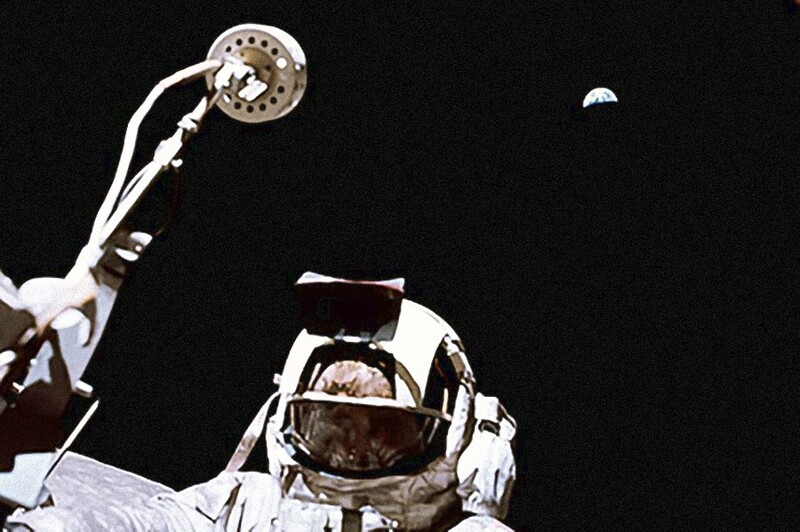 Schmitt got in first, making him the penultimate man to ever walk on the moon. As the astronauts traveled home, a newly re-elected President Nixon announced to the country that this was likely “the last time in this century that men will walk on the moon.” There would be no more missions, no permanent lunar base, no sustained push to Mars. This was it. “I thought it was a stupid thing to say,” Schmitt later said about the statement. With the plug pulled on the Apollo program, the United States had spent over $100 billion (in today’s dollars) to rocket a dozen men a quarter-million miles to the lunar surface — ultimately to do little more than walk around, take some selfies and collect dirt. Sure, all that spending on research and development fostered new technologies, and the mission scored the United States points in the Cold War, but it was simply “ridiculous to have done all of this and then not do something else,” Schmitt said in his oral history to NASA. “It just seemed illogical, I think, to those of us who were involved.” Schmitt, like other NASA astronauts, had hoped that Apollo would prove to be merely the beginning of a historic expansion of the human race into the galaxy. Once Schmitt got settled back into terrestrial life, he decided to run for the U.S. Senate as a Republican in his home state of New Mexico. He won in 1976 and went on to serve one six-year term. “I was not very productive in the Senate, and I don’t think the Senate’s a very productive place,” he later said. He lost his bid for re-election. Like Schmitt’s electoral career, the Apollo program was by then a clear political loser. In the 1980s, a majority of Americans thought that Apollo hadn’t been worth its mammoth cost. With no concrete economic or political benefits for sending people to the moon or beyond, the advance of our species into the galaxy remained stalled within Earth’s orbit. In 1987, with the Apollo spacecraft long collecting dust in America’s museums, Jack Schmitt had an encounter that would change the rest of his life. He was giving a talk about the Apollo program at a conference in Albuquerque, New Mexico. After Schmitt’s talk, he was approached by Gerald Kulcinski, a professor of nuclear engineering and director of the Fusion Technology Institute at the University of Wisconsin-Madison. Kulcinski, now 77, had spent the previous 20 years studying fusion energy and recently gravitated to a radical idea that he believed could change the world. The seeds of this idea were planted when he and his colleagues were working for the Air Force at the Strategic Defense Initiative. “We were looking for a way to make nuclear energy with no nuclear waste,” Kulcinski tells me. The Air Force wanted a future in which U.S. spaceships could be powered by small nuclear reactors — but one big problem with existing technology was that it would produce radioactive waste and poison the crew. In the 1960s, physicists began theorizing about the potential capabilities of a clean fusion energy powered by helium-3, an isotope of helium that was first discovered in 1939. According to their equations, helium-3 fusion could provide jaw-dropping amounts of energy without any deadly waste. “It would take about 40 tons of helium-3 to provide all the electricity in North America in 2017,” Kulcinski says. “Only 40 tons!” But the problem with helium-3, besides getting the fusion to work, Kulcinski says, is it’s incredibly scarce on Earth. After completing their study for the Air Force, Kulcinski and his colleagues began thinking more about the industrial potential of a helium-3 fusion reactor. “We then asked ourselves, ‘Where can we get a lot of helium-3?’” he said. It turns out that the sun — a giant fusion reactor itself — emits particles known as the solar wind. These particles, which include helium-3, blast Earth like a never-ending hurricane, but are blocked by our planet’s atmosphere and magnetic field. The moon, on the other hand, has neither, which led some scientists to believe it could be awash with such particles. The theory was first proven in a 1969 article in Science, which analyzed the first moon rocks brought home by Neil Armstrong and Buzz Aldrin. During the cold Wisconsin winter of late 1985, Kulcinski and his colleagues finally “put two and two together.” They did calculations and came to a mind-boggling conclusion: There were “at least one million tons” of helium-3 on the moon — enough to power the entire world for over a thousand years. ”It’s a large energy source — and it’s clean!” Kulcinski says. “It doesn’t release any greenhouse gases, it doesn’t release any radioactivity, and it’s not a proliferation risk (as other nuclear sources are), so you can’t make a weapon out of it.” This, they believed, could be the solution to the world’s energy problems. It wasn’t long after this revelation that Kulcinski attended the conference in Albuquerque. Schmitt, having just given his talk, came off the stage and Kulcinski introduced himself. “He came up to me and started to tell me about their studies relative to the potential value of helium-3 as a fusion fuel,” Schmitt recalls. “There’s more energy in the helium-3 on the moon then there ever was in all of the coal, oil, or natural gas on the earth,” Kulcinski recalls telling Schmitt. In one fell swoop, the moon went from a desolate wasteland to the potential savior of mankind. “I was very excited about it,” Schmitt says. “He lit up like a light bulb right away” was how Kulcinski described it. It wasn’t just that the idea was revolutionary. It also gave a whole new meaning to the Apollo program. That dangerous and expensive adventure to the moon — and not just the research and development it took to get there — proved that space exploration could have immense economic benefits. At that conference in Albuquerque, Schmitt decided he wanted to make this radical idea a reality. “I immediately went to work with them to try to define more specifically how we might access that resource and make it available to people on Earth,” Schmitt said. While it attracted some press and geeks loved the idea, it was clear from the outset any operation would require major innovations and be a monumental undertaking. They would need brainpower and piles and piles of money for research and development just to get started. Over the next two decades, Schmitt and Kulcinski became evangelists, preaching the gospel of helium-3 in universities and the halls of government. But the idea of fusion energy and moon colonization always smacked of science fiction — and the U.S. government was not a receptive audience. “We talked a great deal to NASA and the Department of Energy and could not get them to really be willing to work together to access the resource and to utilize it,” Schmitt says. It was out of his frustrations with government inaction, Schmitt says, that in 2006 he published his book Return to the Moon, a helium-3 manifesto that provides a insanely detailed business plan for the operation. Schmitt imagines a permanent colony of 16 workers thriving in a forbidding alien world — a place with no breathable air, low gravity and poisonous lunar dust, no indigenous food or clean-water sources, and extreme temperature fluctuations between night and day. 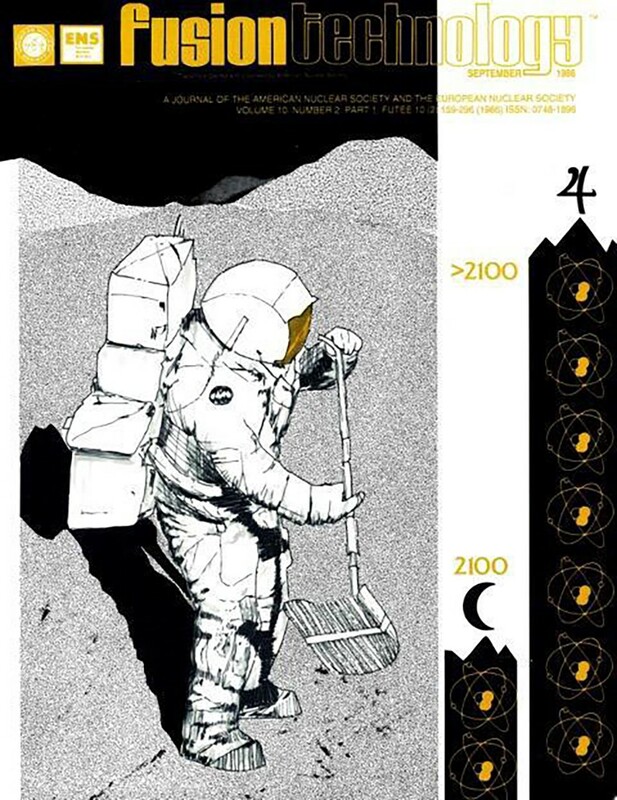 Working under the black lunar sky with robots and mining machines, their task is to dig up regolith and heat it up to 700–800°C, enough to liquefy and separate out the helium-3. They then package it up and send it home on spaceships, delivering the isotope to power plants on Earth like an intergalactic UPS. In his foreword to Schmitt’s book, Neil Armstrong says each of the three crucial innovations needed for this plan — a commercial fusion reactor, a sustainable mining operation on the moon, and a low-cost earth-moon transportation system — would take work “on the scale of a Manhattan Project or Apollo Program” to become a reality. But to an idealist like Schmitt — who, born in 1935, was part of a generation who saw the United States accomplish amazing things like the atomic bomb and the moon landing — it doesn’t sound crazy. It sounds profitable. Space expansionists like Elon Musk have been pushing a plan to go directly to Mars, but Schmitt, who also wants to settle Mars, believes the economics would work out better if we set up shop at the moon first. The key to the entire enterprise, however, starts with a fusion reactor. “If that happened, it would be a gold rush,” Kulcinski says. Schmitt says he imagines it playing out like the mining towns that sprouted up around discoveries of precious metals on Earth, like with the Forty-Niners who settled Northern California. The resource nurtures an ecosystem around it, giving rise to settlements, markets, and infrastructure. The moon, with only a sixth of the gravity of the earth, could then become a strategic training ground and “filling station,” he says, for spaceships needing supplies on the road to Mars and the rest of the galaxy. In February 2017, Schmitt returned to Congress to give testimony about America’s space program. There, he outlined an ambitious plan to return to the moon by 2025, build a permanent lunar settlement by 2030, begin “lunar resource production” by 2035 (which he sees all being privately funded), and create a “Fusion-powered interplanetary booster” by 2040. Spaceships powered by helium-3, he told Congress, “could shorten transit time considerably,” which could then help us achieve his vision of settling Mars by 2045. One might think that he would sell his plan for what could provide a near-unlimited clean energy source as a way to address climate change—but on that front, ironically, Schmitt has earned a reputation as a skeptic. With the Cold War’s role in motivating the Apollo program undoubtedly in mind, he points instead to China as a geopolitical reason to take up the plan. In 2013, the chief scientist for China’s Lunar Exploration Program said that he believes the moon is “so rich” in helium-3 that it could supply mankind’s “energy demand for around 10,000 years at least.” The agency, which has already sent a rover and orbiters to the moon, has plans to send a machine again in 2017, this time to bring home lunar samples. They plan a manned mission there by 2036. “They’ve learned from the Wisconsin work, believe me,” Schmitt says. The specter of China on the moon and Mars has not gone unnoticed by the Trump Administration. In March 2017, President Trump signed a NASA funding bill that left most of the agency’s budget intact while shifting its resources from earth-focused science programs to space travel. The current, inchoate plan is to send Americans to visit Mars by 2033. Given that’s so far away, Trump advisers have signaled that they want a manned mission to orbit the moon within his first term, basically to show China (and voters) that America, under his leadership, is great again. There’s also been talk of a “spaceport” that would permanently orbit the moon. That said, helium-3 has not been a part of their vocabulary. While the U.S. government has not embraced Schmitt’s plan, the idea of mining helium-3 for profit has found some interest in Silicon Valley with small startups like MoonExpress, which is competing for the Google LunarX Prize, a privately funded competition to land commercial spacecraft on the lunar surface. The most tangible legacy for this idea, however, still remains a 2009 sci-fi movie called Moon, a dystopian tale about a lunar corporation that mines and ships helium-3 to Earth.